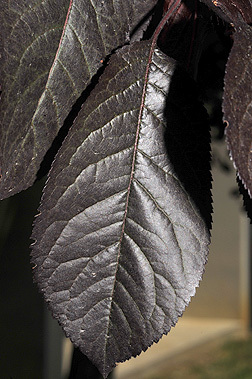 Leaf:Alternate, simple, ovate, 1 1/2 to 3 inches long, serrated margin, most widely planted varieties have a deep reddish purple color, some are dark shiny green; paler below with some hair in axils of veins. 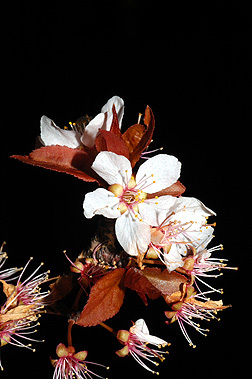 Flower:Perfect, most commonly pink (may be white), 1 inch across; very pretty and fragrant; appear in early spring. 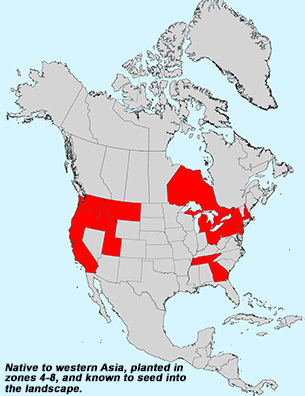 Fruit:Round drupe, 1 1/4 inch across, reddish; ripen in mid to late summer; edible. 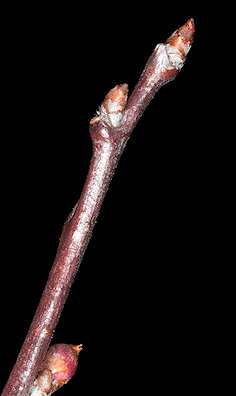 Twig:Slender, dark reddish brown to gray, spur shoots present, buds small. 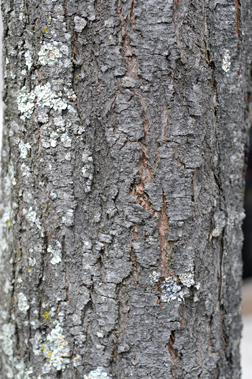 Bark:Thin, reddish brown to dark gray and smooth, horizontal lenticels with vertical splits with age, eventually becomes shallowly and irregularly ridged and furrowed. 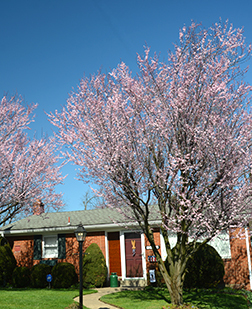 Form:Small trees with a symmetrical, vase-shaped crown; can reach heights and spreads up to 25 feet.